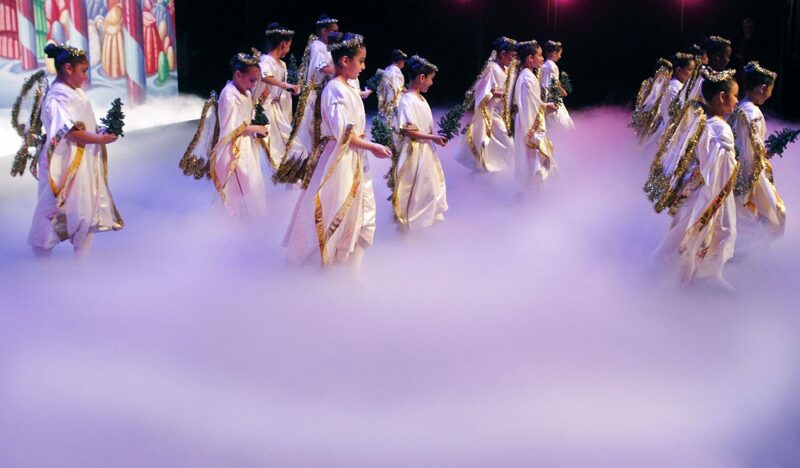 Angels scene during 45th anniversary of The Nutcracker at McAllen Performing Arts Center on Sunday Dec.3,2017. MCALLEN – About a thousand people filled the seats of the Performing Arts Center over the weekend to view a fairytale Christmas classic come to life for another year. 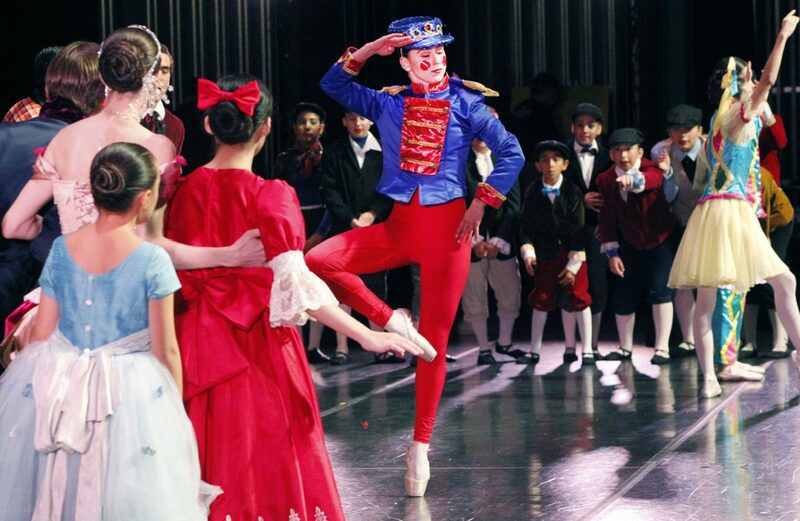 The timeless holiday act was produced and performed by The Rio Grande Valley Ballet, which celebrated its 45th Anniversary of The Nutcracker and is the Valley’s longest running show. Preparation for The Nutcracker began in August with daily rehearsals that consisted of certain cast-members rehearsing for a specific scene or act. In October, full cast rehearsals began on Sundays. 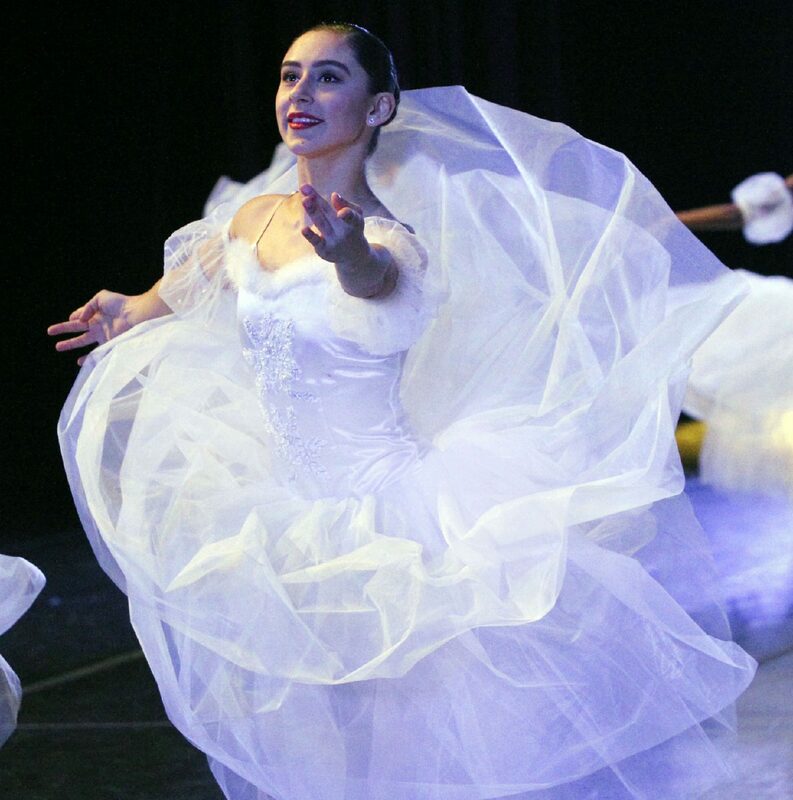 Deborah Case, Artistic Director of Rio Grande Valley Ballet detailed the behind-the-scenes of the show and how it has reached a milestone. The dance of the wooden toy soldier performance during the 45th anniversary of The Nutcracker at McAllen Performing Arts Center on Sunday Dec.3, 2017. Sugar Plum fairy dance during the 45th anniversary of The Nutcracker at McAllen Performing Arts Center on Sunday Dec.3,2017. The Nutcracker show was open to anyone who wanted to join; only requirement was practice and dedication. “Everybody’s challenged, the main thing is, my job as artistic director is to challenge everybody (ballet students), so put it in a role where they will be challenged,” Case said. Case has been the artistic director and a teacher since 1993 and has seen students who were in her classes more than two decades ago become studio teachers in the dance academy or have left to expand their careers. One of those students is Dana Creech, a professional dancer and ballet teacher, who has performed in The Nutcracker for more than 20 years. Creech began as a 12-year-old student and has never stopped learning from Case. “There is so much discipline that we teach them and it’s instilled in them to be responsible and I think that helps them in their futures,” Creech said about the students. Edinburg resident and mother, Kelli Davis, has her daughter Camille in the dance academy for three years and performed in The Nutcracker for the first-time. Davis expressed her nervousness about her daughter and said she memorized everything from The Nutcracker, but not the on-going recitals. Camille was in three scenes, the mice battle, a child in the mother ginger, and an angel. “I’m very excited to be in The Nutcracker,” Camille Davis said.